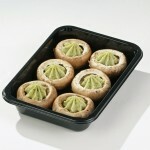 With this range of products, VEGEPACK offers you the very best as a specialist in fresh mushrooms and vegetables. Mushrooms and vegetables are presented in all sorts of ways. The range offers gourmets recipes that bring out the flavour of the mushrooms and the natural qualities of fresh vegetables. 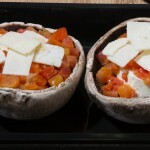 At VEGEPACK, we have created mushroom dishes for winter and summer, stuffed or in a sauce, in dishes, as a side dish or as a snack. There is a “mushroom” solution for every season and every occasion. 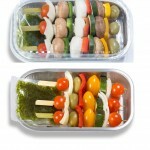 VEGEPACK also offers pre-prepared dishes based on fresh vegetables allowing you to discover or rediscover all their charm. 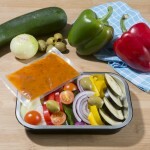 At VEGEPACK, we’re continuously working on research and development. Our range is therefore constantly evolving and we can analyse – and often satisfy – all our customers’ demands. Here is another concrete example of our knowledge of the world of mushrooms. Stuffed mushrooms immediately attract those who appreciate good natural dishes. We have created a number of varieties to offer you a range of original appetizers and starters that are tasty and ready in no time at all.